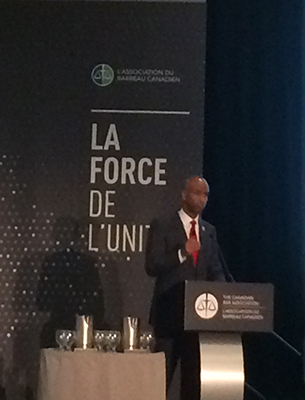 speaking at the Canadian Bar Association at the National Immigration Conference in Toronto. Ontario Minister of Citizenship and Immigration Hon. Laura Albanese.